This project replaces the hard to get EEPROM X22C12 in the GE Phoenix SX radios with a standard 27c128 eprom. 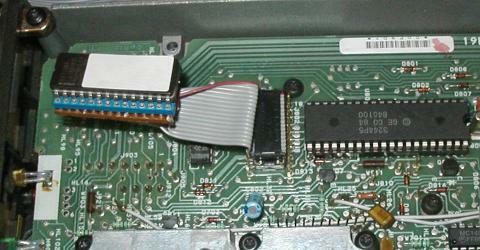 Just about any eprom can be used, but I had a pile of 27128's from the 1980's! The eprom hex image is generated by my C program included below or by a windows program called "PSX200 - GE Phoenix Radio Programmer" by Robert E Starr Jr KG4LNE. 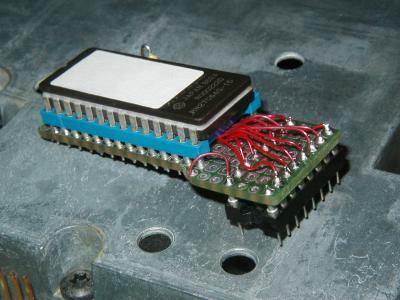 Only the first 256 bytes of the eprom are used by the radio. In the simple version of this project, the extra address lines on the eprom are grounded. 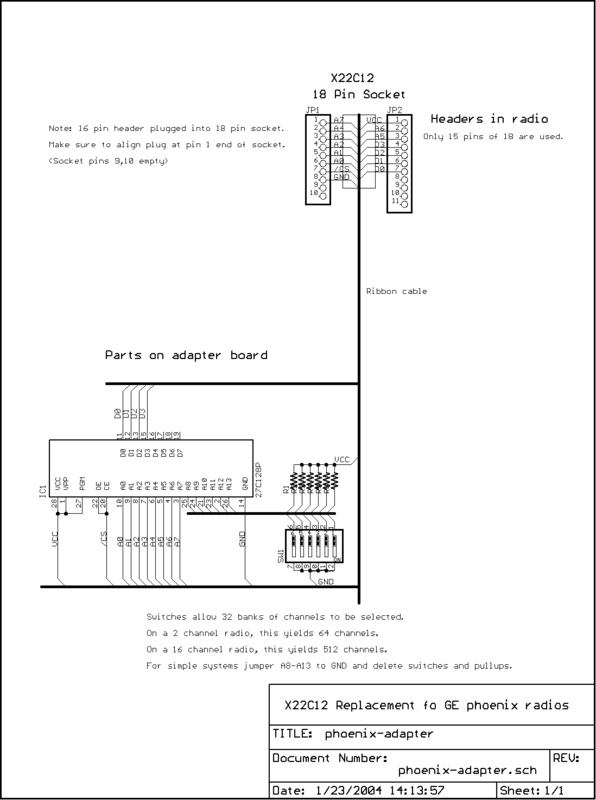 If you need more channels than the radio supports, you can add a dip switch or thumbwheel to add more banks of channels. The 27128 has enough space in it to support 512 channels when the eprom is used in a 16 channel Phoenix SX radio. A windows XP computer running the PSX200 program to generate the eprom image. 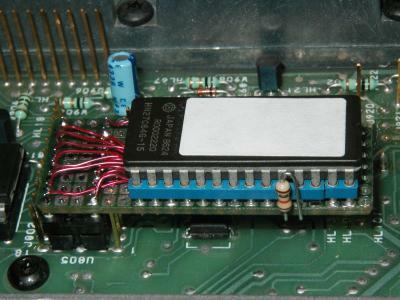 An eprom burner that supports your particular eprom version. A GE Phoenix SX radio (does not require the obsolete X22C12 eeprom). You can also generate an eprom image using my C language program available in the "Source Code" section below if you prefer to use linux over windows and want to enjoy the benefits of open source software. used in a 2 channel Phoenix SX.